Quality Begins at Home. 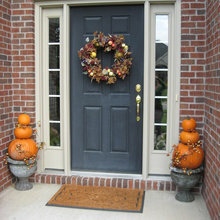 We are the premiere home improvement company, with service and products that will keep you happy for years to come. 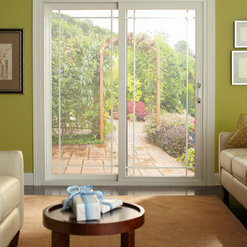 Our customers receive unmatched warranties and exclusive products. 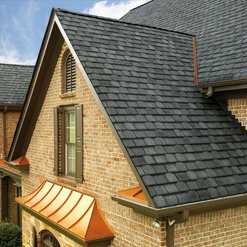 We offer exclusive roofing, siding and window systems that are manufactured in America and installed by factory-trained installers, delivering the best possible result every time. 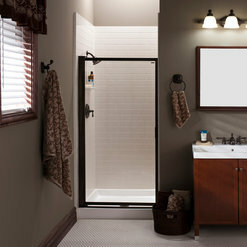 DaBella Baths is our exclusive bath division, specializing in tub and shower conversions, bathtub replacement, walk-in showers and walk-in tubs. If you want to work with a contractor who is passionate about service, committed to quality and determined to delight you, then DaBella is for you! We’re ready to turn your dreams into a beautiful reality. 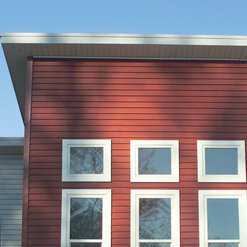 Had DaBella replace our siding and windows. Process took months longer than planned. Dabella has come back around and made things right with us. When the salesman visited our home, they offered us a slight discount if we agreed to put a sign in our yard so they could take credit. When everyone left, there was no sign or follow up inspection so I got curious and started looking at the work. Turns out they left a hole in my new roof. These idiots don’t even do the work theme selves but instead sub-contract to random people and don't inspect their work after the dust settles. After a 15k roof replacement they left a hole in our roof to probably save 20$. On the bright side, I don’t need an attic light because I have the sun and in case I want to lull myself with the sounds of traffic I only need to go to my kitchen. Don’t even think about going to these crooks! Hello Michael, I definitely want to look into this and do everything we can to address your concerns, but I am not able to find you in our system. 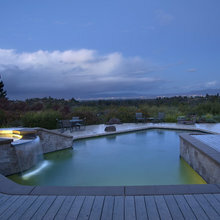 Please give my Customer Service Manager a call at your earliest convenience, her direct phone number is (503) 431-2814. We look forward to the opportunity to make things right, thank you. The consultation with joel and curtiss was very informative. I learned alot, and the pricing was very similar to the competition with being a far superior product. Payment options were very flexible with 0% interest. 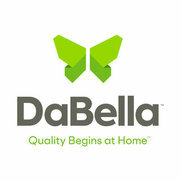 We chose DaBella because they were explicit about how they would redo the roof and the products they would use. It also helped that they guaranted the roof for 50 years including labor. We had paid for a 25 year roof ( turned out it was just the shingles that were covered) when we bought our house but it was prorated and did not include the fact that the original roof was not put on correctly. We are extremely pleased the results! 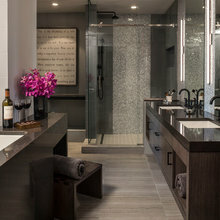 Our showers exceed our expectations! The young man who did our installations was courteous and very professional. (Sorry we can't remember his name!) Dave Gonyea,our sales consultant was awesome as well! We are definitely recommending DaBella Exteriors to our friends and family, Thank you so much,we are enjoying our showers! I found them to be very professional. Justin Teacutter was very helpful and spent the time answering all my questions. I would recommend this company to my friends. The two sales representatives were very professional and knowledgeable. They made the presentation very enjoyable as well as interesting. The materials to be used appear to be of the highest quality. We feel very comfortable in the purchase we have made. Bill & Pat Salem, Or. We don't have the roof yet, but we were quite impressed with Lance Fagan and the quick response from everyone we talked to. Lance was professional, thorough in what he shared with us, and seemed very knowledgeable. He seemed genuinely interested in helping us make the best decision for our situation. I received a quote from this company that seemed very reasonable for the quantity and quality of work proposed. The representative was very kind and knowledgeable. I will hire them to do my roof job when circumstances allow. The product, workmanship and professionalism met all of my expectations. Installation was quick, efficient and clean. I appreciate the changes and am stilling evaluating the changes to my home environment.